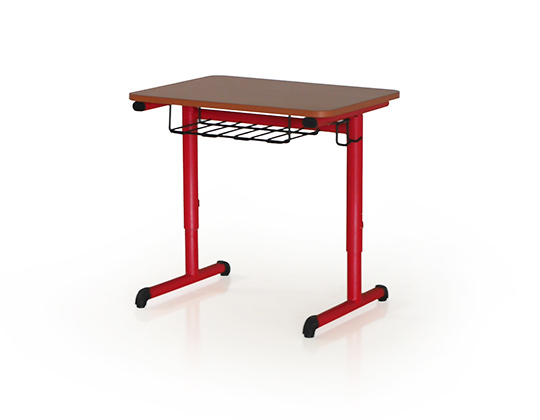 The unique feature of the Level height adjustable table is in offering height adjustments from 52 to 76 cm, in steps of 6 cm using a simple tool. 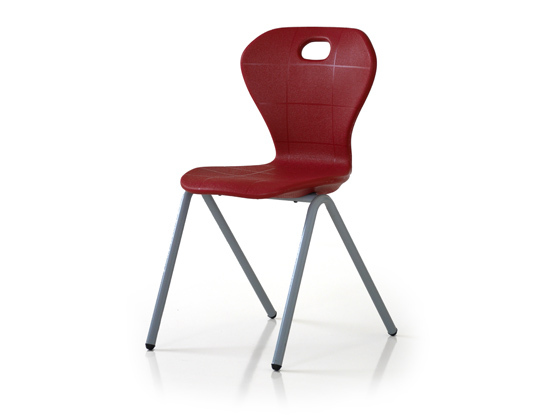 This would permit a common inventory across classes, and also allow for better comfort for students of differing heights within the same classroom. 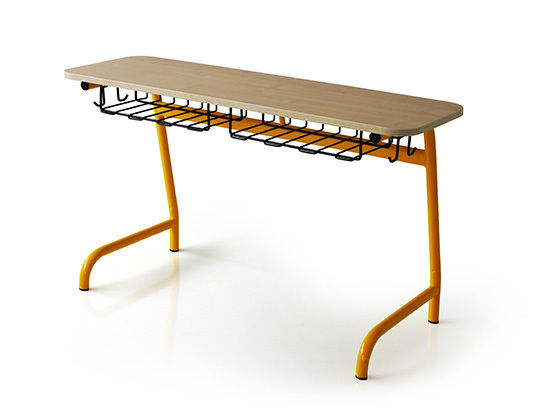 Level features a powder coated steel frame with asymmetrically positioned oval, tubular feet. The table top offers safety as well as durability, with a high pressure laminate top with PVC edge and soft rounded corners. It provides storage in the form of a book tray, as well as bag hook on the side. 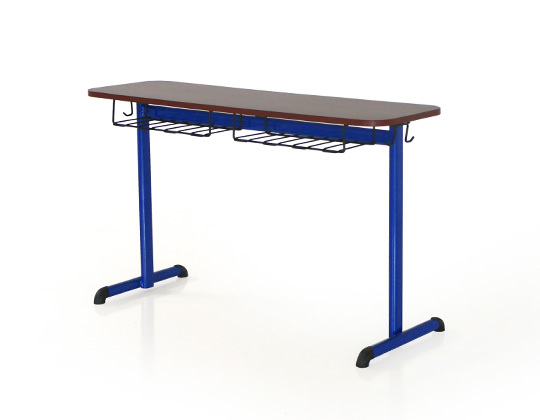 Level height adjustable table is available in single and two seater versions in a variety of size and colour options. This design lends itself to a smaller footprint for maximum utilization of smaller classrooms, which can be customized if required. 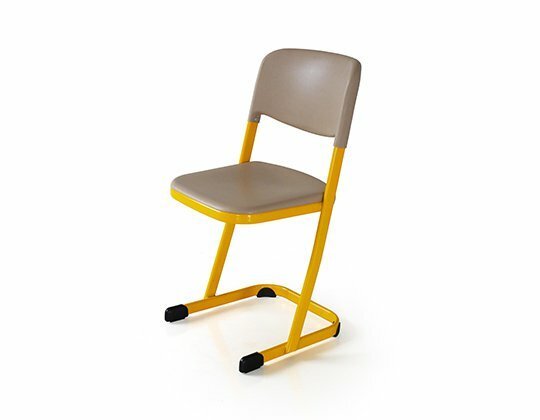 Frame telescopic round, asymmetrically positioned steel legs (cantilever) on steel skids with kicking protection, finished with epoxy powder coating. Desk top 18 mm particle board pressed with high pressure laminate and machine edge banded with PVC edges. All the corners are smooth and rounded for safety. Book tray wire tray made of steel rods of diameter 7 mm & 5 mm.